Wherever politics and pucks collide, we’re there, crashing the net. Long before the 1980 Miracle on Ice or the 1974 Summit Series, there was plenty of Cold War sabre stick rattling involving hockey games. 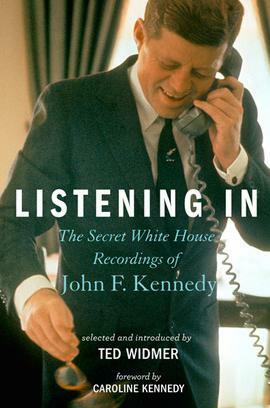 In a book of JFK Oval Office recordings released last year, “Listening In: The Secret White House Recordings of John F. Kennedy,” the president, just 8 months away from Dallas, was focused on hockey. In particular, JFK was distressed over the dismal performance of the U.S. men’s team in the 1963 World Ice Hockey Championships, held that year in Stockholm. Kennedy needed advice. He knew sailing and he knew touch football from those storied Hyannis Port games, but when it came to hockey, Jack didn’t know jack. From the Oval on March 13, 1963, JFK lobbed in a phone call to David Hackett, Executive Director of the President’s Committee on Juvenile Delinquency and Youth Crime. Hockey and juvenile delinquents, it makes perfect sense, right? Well, not exactly. 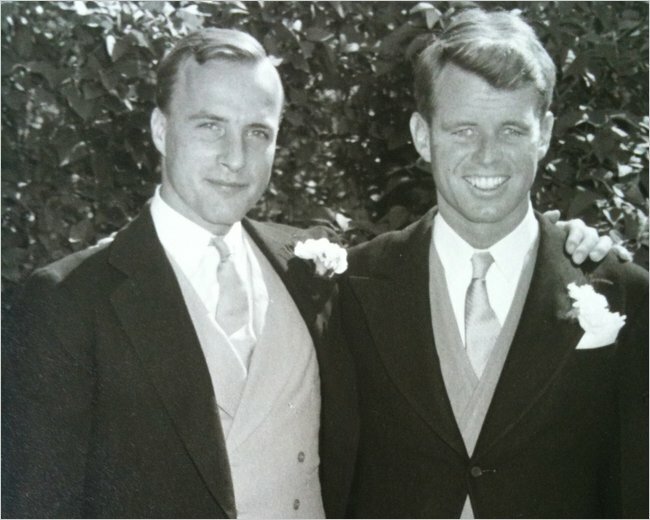 Hackett was also a close friend of the Kennedy clan, a very close friend of Bobby’s actually; they were classmates at Milton Academy, a Boston prep school in the early 1940s. Hackett played hockey at Milton (football and baseball too). He was a very good hockey player. JFK: Dave, I’ve noticed in the paper this morning where the Swedish team beat the American hockey team, 17-2. Hackett: Yeah, I saw that. JFK: Christ, who are we sending over there? Girls? Hackett: They haven’t won a game. JFK: I know it. I mean, who got them up? Hackett: I don’t know. I can check into it. JFK: God, we’ve got some pretty good hockey players, haven’t we? Hackett: Yeah. Well, I think. Yeah. JFK: I suppose they are all playing on their college teams, are they, or something? I’d like to find out whether it was done… under what… who sort of sponsors it and what kind of players they’ve got, and I think it’s a disgrace to have a team that’s 17-2. That’s about as bad as I’ve ever heard it, isn’t it? Hackett: And they have been beaten by everybody by a score almost equal to that. JFK: So obviously, we shouldn’t send a team unless we send a good one. Will you find out about that and let me know? Hackett: I’ll find out about it and let you know. Yeah. Jack called the U.S. men’s team a bunch of girls. Times sure have changed and that’s exactly the sort of language that will piss off the gays these days. In a C-SPAN interview with author Ted Widmer, Brian Lamb (Disclosure: Our former boss) asks him about the exchange with Hackett. [Click on the image below to watch]. What happened to the U.S. squad in 1963 and where did Hackett next lace them up? The U.S. team wasn’t a bunch of girls. Girls would’ve played better. They finished dead last among the 8 teams vying in the Group A tournament, falling to Finland 11-3 on March 8, 10-1 to the Czechs on March 9, and 10-4 to Canada on the 11th. But it was the 17-2 drubbing at the sticks of host country Sweden that really grinded Jack’s gears. Who the hell knows what Hackett did or who exactly grabbed their sacks on the U.S. team, but in the next tilt on March 14, the U.S. bested the West Germans 8-4. Then it was all downhill – the Soviet hooligans clobbered us 9-0 on March 15 and in the final game on March 17, the good guys managed to tie the East Germans 3-3. The Soviets took the championship, their third, and then went on to win another 8 straight. Screw them, we got to the moon first and ultimately broke their backs. Let freedom ring, suckers! Hackett’s hockey career didn’t end at McGill; he was selected for both the 1948 and 1952 U.S. Olympic Hockey teams. The ’48 team was DQ’d in a credentialing controversy and a broken ankle kept him from playing on the silver medal ’52 team. After those amateur ranks disappointments, Hackett turned pro and went on to play for the Baltimore Clippers in the old Eastern Hockey League, lacing them up for one season in 1954-1955. There’s some not-so-fancy stats online about the Clippers and we find that he was signed to the team on October 11, 1954 (bringing their roster total up to four), and exactly three weeks later in a preseason game, he tallied a hattie in a 7-5 win over the Washington Lions. The Clippers went on to finish slightly below .500 that season, in 47 games they racked up 22 wins, 23 losses and 2 ties. Hackett ended the season playing only 12 games, but he was productive on the ice with 5G, 4A and 18PIM. The Lions proved to be the better team that season and finished first in the standings followed by the New Haven Blades. The Clippers were third followed by the Clinton Comets and the Worcester Warriors. Old time hockey – Eddie Shore and Dave Hackett! Hackett would soon enter politics, coming to DC in 1959 to work on his friend’s presidential campaign. At the 1960 DNC convention in Los Angeles, Hackett ran the “boiler room,” tracking the delegates for the Kennedy operation. He then went on to work for Bobby’s presidential campaign, right up until the end, also in Los Angeles. Hackett later served as director of the R.F.K. Memorial, and helped create the Youth Policy Institute. He passed away in 2011 at the age of 84. 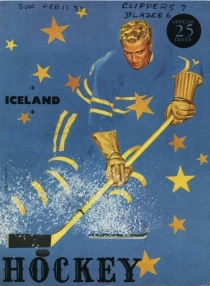 This entry was posted in Uncategorized and tagged Camelot, David Hackett, IIHF, JFK. Bookmark the permalink.